McDonald’s locations in the U.K. have begun playing classical music in an attempt to reduce nocturnal brawls between drunken patrons. The Daily Mail reports that after booze-fueled clashes between pub-goers spiked in Stockport’s town center, fast food restaurateurs decided enlist Mozart, Brahms, and Beethoven in their battle against rowdy customers. Basically, the idea is that youths pouring in from nearby clubs and bars will hear low-key, soothing arrangements and recognize that McDonald’s “is not their scene,” Councillor Philip Harding told reporters. “I like classical music, but I'm not sure the patrons of McDonald's do,” he said. The continental composers represent the latest in a long line of enforcement efforts. In the past, McDonald’s proprietors have sought the help of neighborhood crime fighting team Stockport Business Watch Exclusion, and even written letters to the parents of uproarious youths. He added that the burger chain regularly conducts meeting with young people and parents to address the growing problem. Similar tactics have worked in the past: a couple of years ago, classical music helped officials disperse youngsters languishing in an alleyway near Councillor Lane in Cheadle. 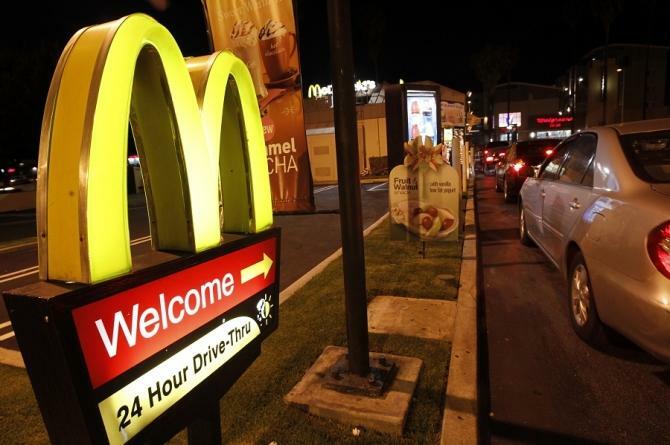 “The classical music clearly differentiates between the nightclub atmosphere that some customers have just left and the more serene family restaurant that McDonald's aims to provide,” a council spokesman said.